I still remember when I first started this label, a feeling of both excitement and fear hung over like a cloudy day. So many things could’ve gone wrong. What if I can’t pay my suppliers / utilities / rent? What if I don’t even have a single client in a month? What if I can’t get back into the employment of a safe corporation if this business fails? There were so many ‘what ifs’ standing between me and the future road to happiness. All these questions became very real when business was slow. However, (and this is the most important point) I discovered what truly made me happy when I had my first few clients: seeing the smile and tears of joy of the beautiful Bride. Her expression is simply priceless. Fortunately, the years have been kind and recently one of my very first clients reminded me of why I love what I do. Dear Meredith was one of my earliest Brides. She recently posted one of the most memorable Instagram postings I will ever see. 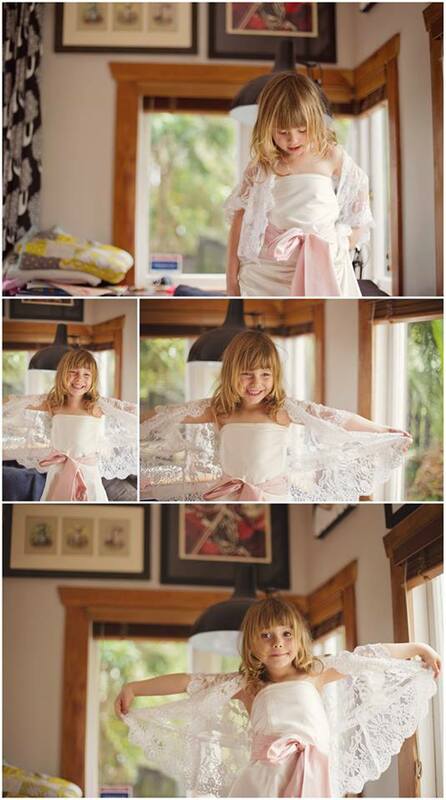 Her little darling Dita gleefully says that she wants to wear the gown her mother wore once she’s grown up! 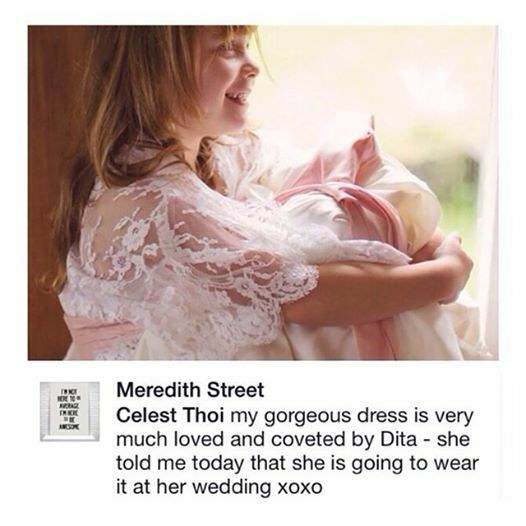 Say hello to Meredith and her precocious daughter Dita. To Dita and Meredith, thank you for refuelling my passion. I wish you both a blessed and wonderful life ahead!